Building on the ground breaking Juke Box E, Juke Box S2 is taking the first audiophile all-in-one system to the next level. 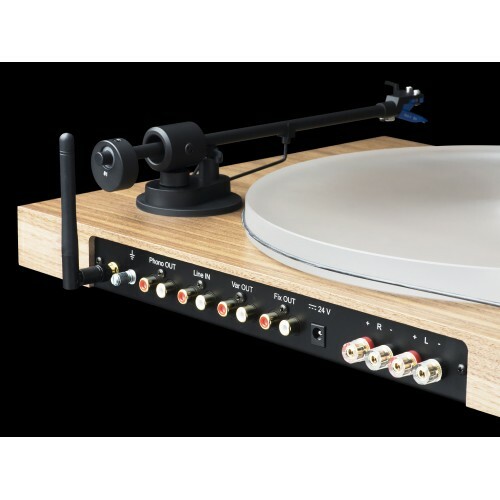 By changing to a more sophisticated acrylic platter and an upgraded, Pro-Ject proprietary, cartridge we gave the Juke Box the extra bit of audiophilia it deserves. Not only the used technologies were addressed in the designing process of Juke Box S2. 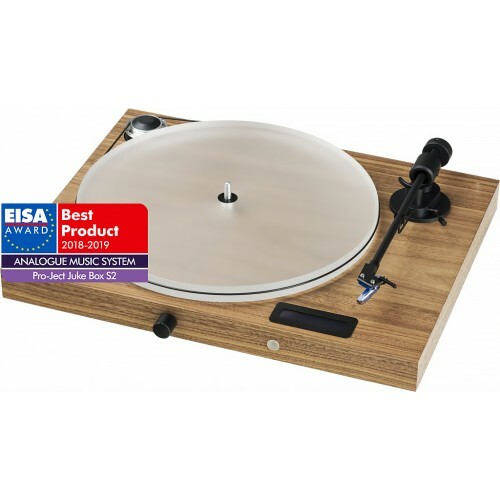 We are also offering the turntable in elegant wooden frames. 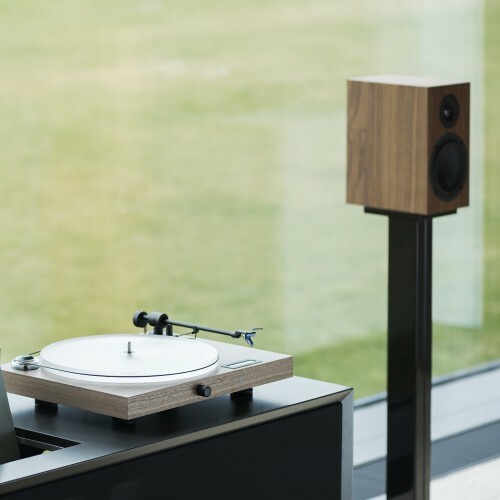 Juke Box S2 now comes standard in walnut or eucalyptus finish, which aesthetically boosts the record player and enables it to fit in any living arrangement. Juke Box S2 effectively saves space by implementing a pre-amplifier and power amplifier in its chassis. With the rated 50 Watts per channel it you will be able to use your stereo speakers and enjoy realistic sound stages and great depth. Let Juke Box S2 take you away on a trip through your favourite music. Juke Box S2 doesn’t stop at playing vinyl though, you will also be able to connect your smart devices via Bluetooth and listen to your music wireless. On top of that, another analogue input can be found on the back side of Juke Box S2. 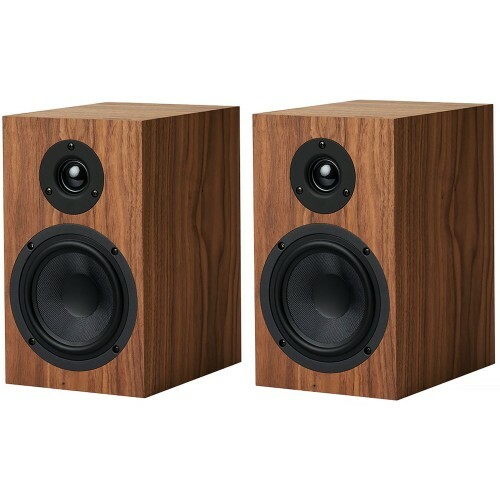 Simply connect a secondary source and use Juke Box S2 as an amplifier for your speakers. Rediscover your treasures or take your first steps into the endless waters of music-enjoyment. 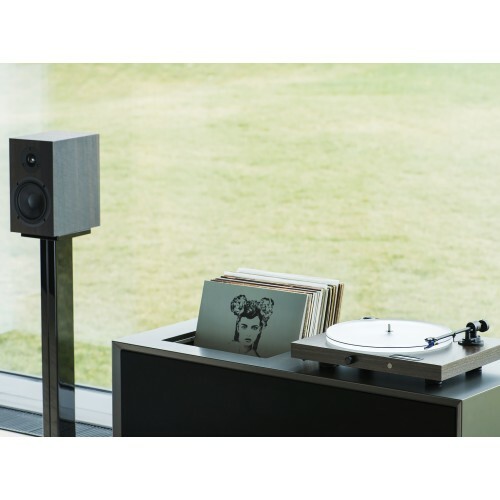 Juke Box S2 is the perfect solution for everyone who is looking for an upgraded hifi experience in his life, but can’t find the room for a tower of two-channel electronics.